Yesterday for the first time in UK legal history, a Court of Appeal case was streamed live on YouTube. The case, WH Holding Limited and Anr v E20 Stadium LLP, involves a dispute over how many West Ham fans are allowed into the former Olympic stadium for matches. Why is the Court of Appeal streaming on YouTube? The Court of Appeal YouTube 'live streaming' pilot is another way in which the legal sector is harnessing technology for a good cause - including to achieve wider access to justice, transparency and to modernise the UK Court system. The broadcasting and filming of appeal proceedings is permitted by section 32 of the Crime and Courts Act 2013 and the Court of Appeal (Recording and Broadcasting) Order 2013. Since 2013, Court of Appeal hearings have been broadcast live, but until now they have never been live-streamed on social media. The pilot aims to enhance access to the courts and to improve public understanding of what the courts do. As part of the pilot, a selection of cases from the Civil Division of the Court of Appeal will be streamed on the UK Judiciary YouTube Channel. A high-profile dispute - the West Ham v E20 case - is the first selected for the pilot. According to Master of The Rolls, Sir Terence Etherton, it is hoped that live broadcasting will "increase public confidence in the system" and open up the court's work to a "mass audience". Sir Terence Etherton, alongside Lord Justice Lewison and Lady Justice Asplin, heard the streamed preliminary hearing for the West Ham case. A victory for access to justice? Convenient access to court cases - viewing appeal hearings from anywhere you have internet access. You could, for example, watch hearings during your commute to work, in the office or even from the comfort of your living room without the time or expense of travelling to court. Furthermore, international users of the London Courts could follow cases from overseas. Reaching a larger diverse audience - according to Statista, in 2017 there were 2.46 billion users of social media and 1.47 billion YouTube viewers worldwide. 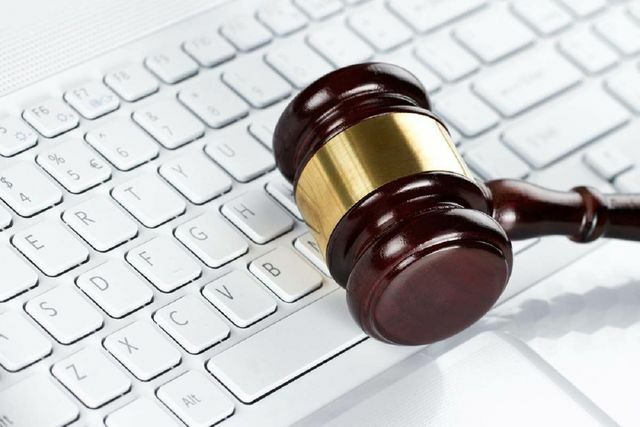 The UK Judiciary's use of social media technology to try to reach a broader audience signals its willingness to innovate to remain relevant and relatable on a wider scale. In particular, live streaming may appeal to millennial and other 'tech-wired' generations. It could also positively influence the perceptions of the image of, and boost the trust of members of the public have in, the justice system. At the time of posting, the UK Judiciary's channel has 453 subscribers. ‘Going live’ may even win the UK Courts fans from around the world and make it a global YouTube star. New insights into the justice system - crucially, the live streams of the hearings are available and can be played back. It will therefore be possible to analyse the hearing videos afterwards. Lessons could be learnt from studying the tone of voice, body language and other visual cues of lawyers and judges during proceedings - insights that cannot be derived from reviewing Court hearing transcripts once proceedings are over. In addition, Court users, academics and students, legal practitioners and members of the public could leverage the streamed content as an educational tool and as a practical way of catching up comprehensively on cases. The pilot is an important development for London as pre-eminent centre for dispute resolution. Nevertheless, using social media is not without risk. It is susceptible to inference which could adversely impact the administration of justice and ability to conduct a fair trial. For example, proceedings may be influenced through public comments made on the appeal hearings videos or by viewer 'like/dislike' ratings. There is also the possibility that the security of the streams is compromised. The pilot and experience of the first 'test case' will no doubt be followed with interest. The streaming of the West Ham proceedings continues today and the trial is due to start next week. How can legal tech help improve access to justice?